PLEASE NOTE: This product is delivered via secure, electronic delivery. You will receive the full product license (with instructions) direct to your email. Enjoy a safe and fast way to get the latest version and full support direct from the manufacturer. At AudioDeluxe we provide Free Shipping on ALL items, big or small, within the Contiguous United States (otherwise known as the lower 48). No minimum purchase required, no special exclusions…when we say "Free" we mean it! When Free Shipping is chosen your product will ship via FedEx Ground, UPS Ground, FedEx SmartPost, or USPS Priority. Typical delivery estimate is between 3-10 days. For additional options and international shipping, click here. 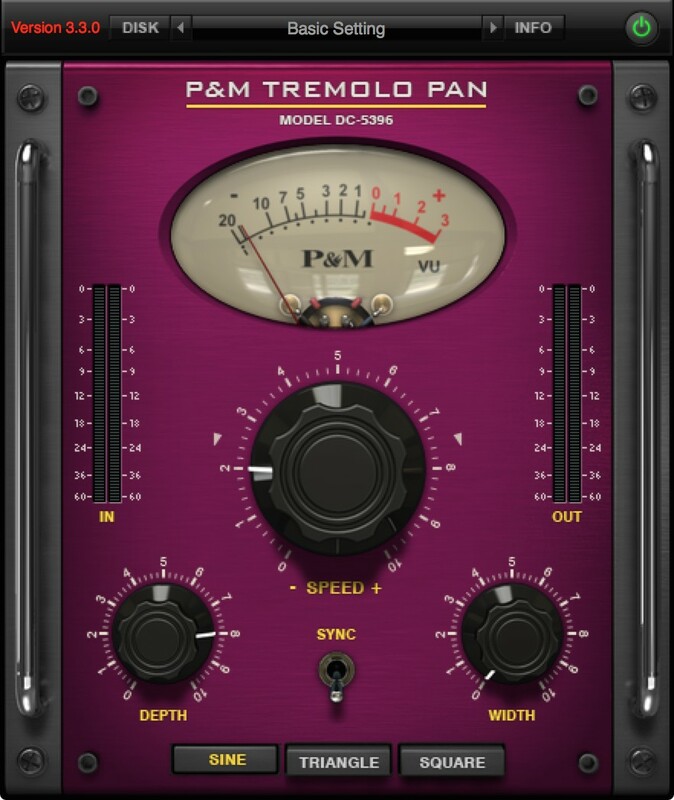 A versatile tremolo and panning effect, this plug-in gives your tracks the movement and life that they may need. This device allows you to choose from Sine, Triangle and Square algorithms so your tremolo sound can be silky smooth or become more agitated jagged sounding effect. Adjust the Depth and Width knobs to increase the effect’s strength and stereo imaging. Turn the big Seed knob to change the rate of the tremolo and flip the switch to synchronize the effect to your DAW’s master tempo. Speed : Changes the speed of the Tremolo Pan effect. Depth : Changes the depth of the effect. Sync : Synchronizes the speed (rate) of the Tremolo Pan to your host BPM. Width : Increases the stereo width of the Tremelo Pan effect. Selector buttons : Choose between Sine, Triangle and Square Tremelo Modes.